It’d have been unfair if the following gallery was to mention political system, economic industry and mining occupation of Canada leaving all the strange places there out of the scene. The quiet joyous country who seems to enjoy its company the most hides some of the craziest places on earth. The next time you plan to travel abroad or think of exploring the land you reside in, give a thought to visit the following places that are either bound to spook you or leave you dumbstruck. This place has a history incorporated within that states that between the late 1890s and early 1900s, the 70-metre-high Castle Butte was used by the U.S outlaws as a lookout where they hid with their horses in the Big Muddy caves. This Badland was chosen by Butch Cassidy as his number one outlaw trail that connected Saskatchewan to Mexico. 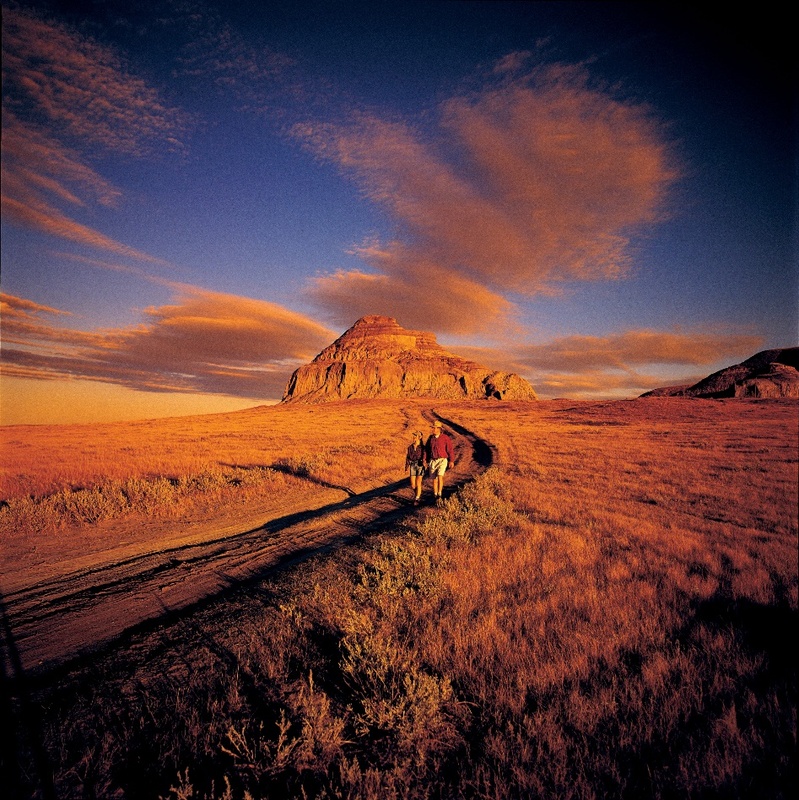 If you’re planning on touring the Badland, consider viewing the Ceremonial Circle, Castle Butte, North West Mountain Police Site, Sam Kelly Caves, Turtle and Buffalo Effigies and lots more. Plan your next holiday with unthinkable unorthodoxy as you witness you and your company swimming with a polar bear at this next pit stop. 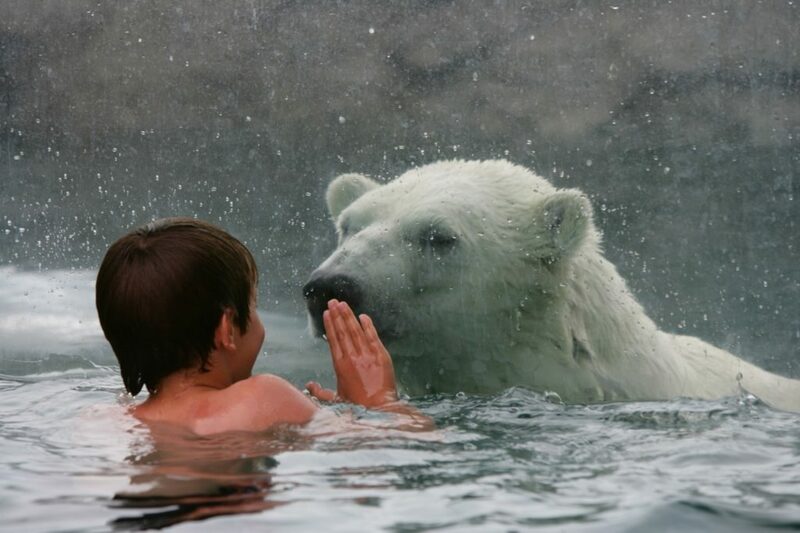 No, you don’t get to hug the bear literally as they should be still sustaining their wild instincts, in the Polar Bear Habitat, you get to jump in a swimming pool with your child or partner that is adjoined to the polar bear’s pool yet separated by a plexiglass. Ganuk, 2.5 year old polar bear would be your company who, if the rumors are true, loves to pose for a photograph. Though not much of a strange place to visit for geeks and Star Trek fanatics, the Southern Alberta Town of Vulcan originally was named after the Roman god of fire. 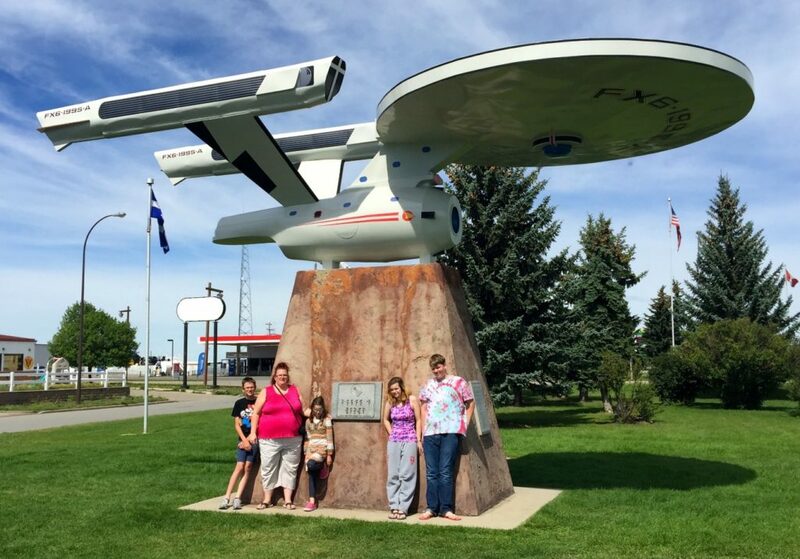 Yet, after the fame of the Star Trek franchise, the town saw an apt opportunity to use the fandom as a context to attract tourists and voila, there is a place for Spock in this amazing country. The place lets you play a virtual reality Star Trek game while you’re cosplaying as one of the characters and the town has a 9-metre tall towering replica of the Starship Enterprise. 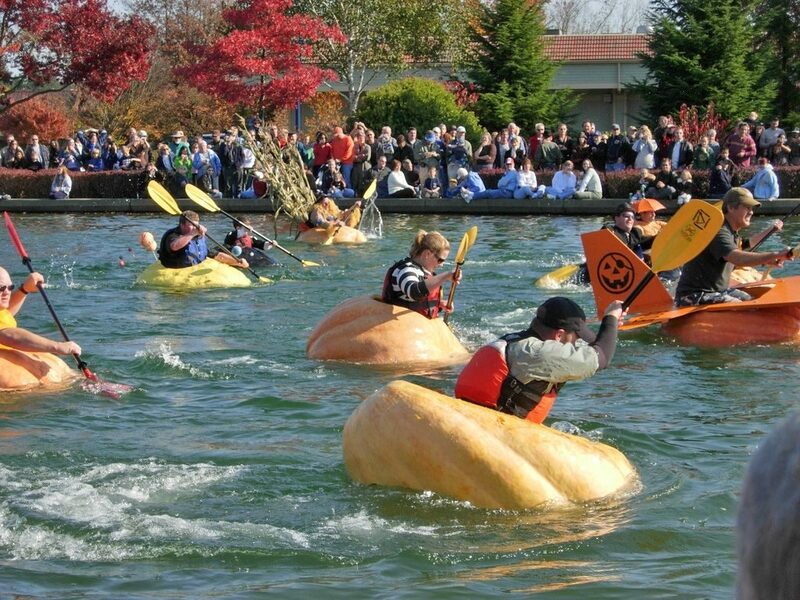 Could it be any stranger than people paddling giant pumpkins in a much-awaited race of autumn? As people already know, Canada is known for its unconventionality and sporty enthuse that lead to the emergence of such weird yet fun practices. Nova Scotia’s Annapolis Valley is an unusual place in Canada. It is because every year it grows boats for people to race in the Annual Pumpkin Parade and Regatta. The eerie and weird shapes of the aspen trees of this unusual place in Canada is the cause of many visitors’ dizziness and disorientation. 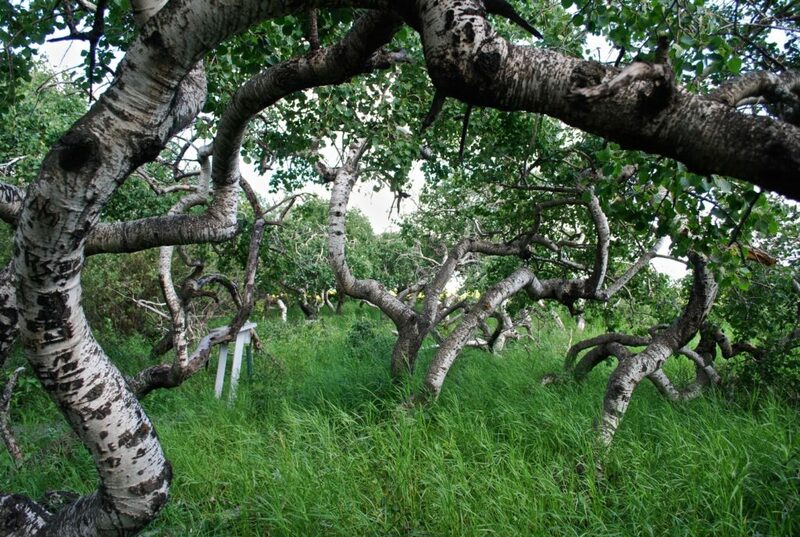 The spooky forest is said to derive its rare shape due to some sort of genetic mutation, according to scientists. If you’re one of the zesty wanderers who doesn’t experience a traveling setback easily, then plan your next holiday to the Crooked Bush of Hafford. Also, the nearby hamlet of Alticane is famous for its UFO sightings; could it be the aspens are related to it? 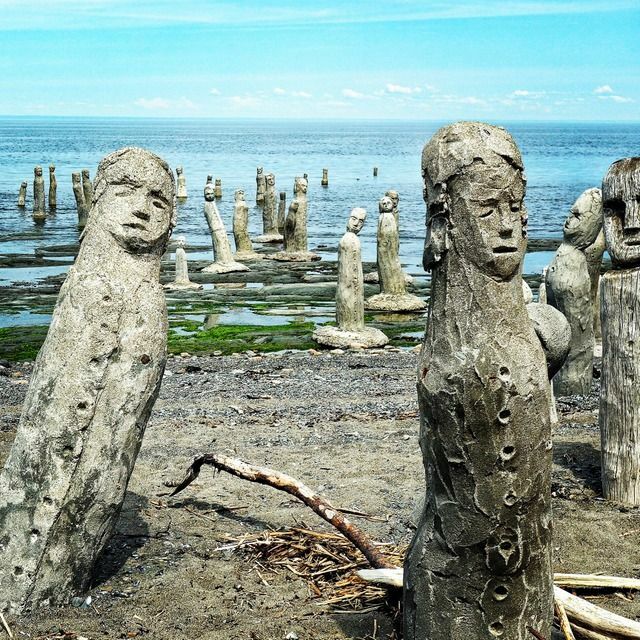 Another spooky and one of the strange places to visit in Canada would be the place that has numerous tall wooden and stone figures that stare out at St. Lawrence River in Quebec. The shadows created on the faces of the figures give an unsettling presence of the Grand Gathering and the Canadian artist behind such haunting creations is Marcel Gagnon. Although the figures were originally created as a center of study, now they have become a major creepy attraction for tourists from all around the world. 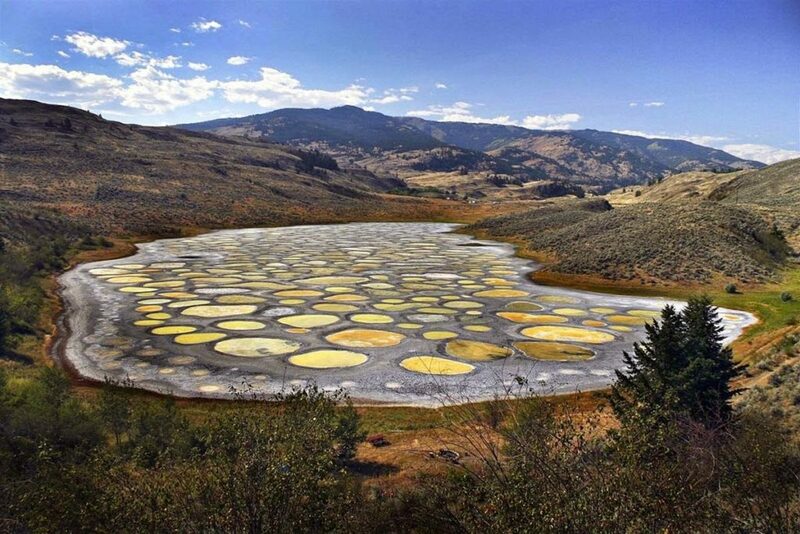 Another creation by Mother Nature that goes in the list of the craziest places on earth would be the infamous Canadian Spotted Lake. The lake is considered to be sacred and containing healing properties by the First Nations of the Okanagan Valley. In summer, the surface of the lake creates colored spots or pools when most of the water evaporates. The spots could be of yellow, blue, white or green colour depending on what mineral is left behind in spot. Magnesium sulphate in the lake hardens creating a walking trail over the lake surface. No wonder Canada’s an amazing country for holding such rare beauties. Have you visited to Canada? If you find any more interesting places, please do comment below, so that we will add to our readers. Also, we would like to add some information regarding the mass surveillance in Canada. The Canadian government and security agencies have been in the spotlight since Snowden’s revelation in 2013 for invading its nationals’ privacy. According to statement released from Canadian watchdog journalism recently, the Security and spy agencies have allegedly used user information of people who used the WI-FI connection of one of the major airports. If you have any plans to visit to Canada, it is worthwhile to install VPN to protect data and identity from government tracking on all of your digital devices.